Please buy this for me! Car was parked this way via a sweet, high-speed 180° backturn. 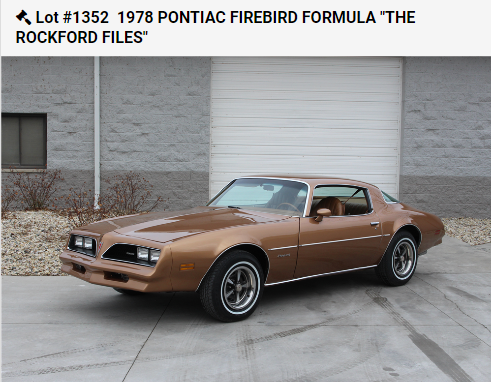 Lot #1352 – This was one of three Firebird Formulas provided by Pontiac Motor Division to the TV show “The Rockford Files,” and was used from 1978 until the series ended in 1980. With a special Sierra Gold exterior and tan interior, the factory Formula 400 model was modified to look like an Esprit for the show. This car was the sound car, used for close-ups while driving, and still has the original mic box, holes drilled to run recording wiring, and a skid plate to protect the engine and transmission from damage during stunts. Please, please, please buy this for me. 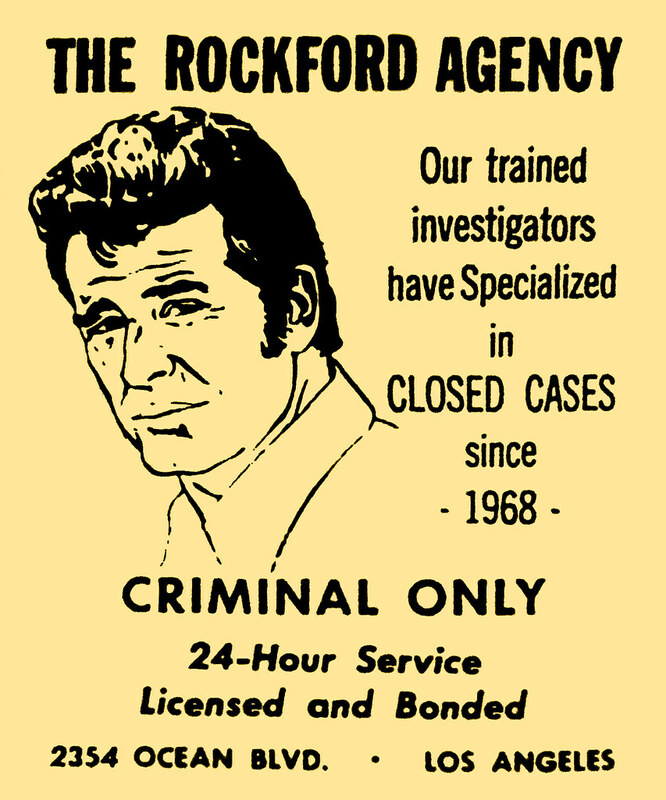 I’ll gladly pay you back from my new earnings ($200 a day, plus expenses) as a private investigator. If you ever want to drive it, you can, just stop by my trailer near the beach, the address is 29 Cove Road in Malibu, California. But remember, I like to sleep in. We’ll pick up Angel, my fellow ex-con, maybe print out a fake business card from the machine in the back seat, stop by the L.A.P.D. to see my pal Dennis Becker and get him to run some license plate numbers for me… and hope we don’t run into that jerk Lt. Chapman! But don’t worry too much about him, my attorney Beth Davenport will put him in his place. Fair warning though: if you hang around me, you’re probably gonna get beaten up… it happens to me once an episode… er, I mean day. Call me up to let me know when you’re dropping this Firebird off. If you get my answering machine, at the tone leave your name and message… I’ll get back to you. Also, the car might have $30,000 in the left front door panel.